Have you ever gone fishing by boat on a lake? You will, no doubt, have encountered the notion that the best fishing will be at the point farthest from where you started. No matter where you launch your boat, the prime spot cannot possibly be nearby. Of course, the truth is often different. Fish could be biting right off the dock. The same principle applies to landscape and nature photography. Photographers travel to the ends of the earth in search of photographic splendour. But some of the best photos are made not far from home. I went on a little drive one evening. I was gone less than hour. I came back with the photo above plus two (possibly three) others that may make it to this blog. Very little travel was involved. 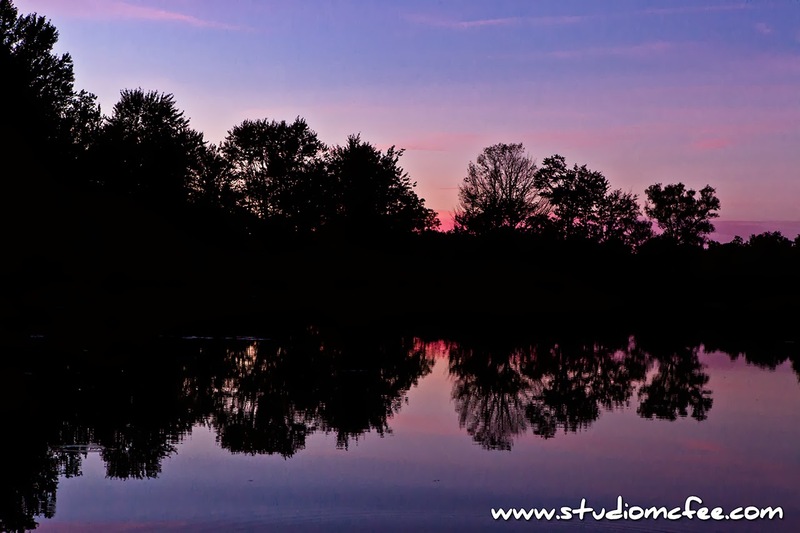 The photo above captures the dying glow of the sunset at Pond Mills in London ON. It is interesting to note that this photograph was shot in the city. Another 'sunset in the city' photo can be found here.